Safer fun indoors and outdoors. Use indoors with extreme caution! These are light but if hit hard enough, they will definitely do some damage in the knocking -expensive-things-over category. For Expert and Novice. 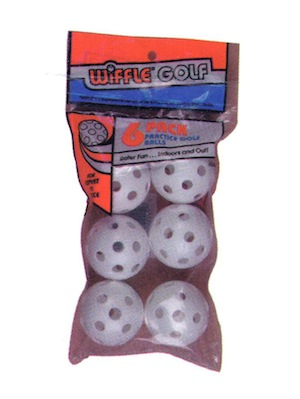 6 pack of practice golf balls.